The thick red, scaly patches of psoriasis appear when cells called keratinocytes grow more quickly than normal and pile up on the surface of the skin. Twenty years ago conventional wisdom held that this common, painful, and disabling skin disease was mainly a problem of cell proliferation. But there were a few clues pointing to the possibility that psoriasis could be an autoimmune disease-a disease in which the body's immune system attacks its own tissues. With both laboratory work and studies of patients in the Rockefeller Hospital, James Krueger (1956- ) followed these clues, and in 1995 published widely acknowledged proof that psoriasis is an autoimmune disease. Because the skin is more easily studied than the sites of inflammation in chronic autoimmune diseases such as rheumatoid arthritis and inflammatory bowel disease, this finding opened the door to using psoriasis as a model for such type 1 autoimmune diseases, with broad implications for these other diseases as well. It also led to highly effective new therapies for psoriasis. In the late 1980s when Krueger began to study the contribution of inflammation to psoriasis, he discovered a strong link between the presence of immune system cells known as CD8+ T-lymphocytes in psoriasis lesions and the persistence of the disease. But he couldn't tell whether these cells caused the disease or were a secondary effect. So Krueger and his collaborators employed a fusion protein that was lethal to the T-lymphocytes but harmless to skin cells, or keratinocytes. In a study carried out at the Rockefeller Hospital, he administered the protein to patients with psoriasis. In eight out of ten patients the scaly patches cleared or improved and levels of T-lymphcytes were markedly reduced, showing conclusively that psoriasis is an autoimmune disease. With bench-to-bedside research Krueger and colleagues have since pioneered a number of successful psoriasis treatments, including those that: selectively deplete activated T cells; block early T cell activation signals; block T cell mitogenic receptors; alter T cell differentiation toward regulatory cells; and antagonize specific inflammatory cytokines, including newly described cytokines of Th17 T-cells. 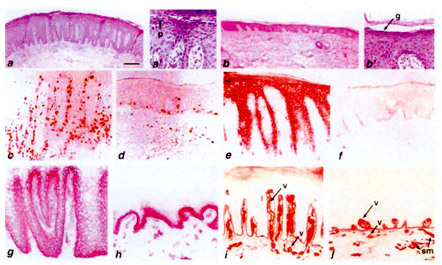 Krueger's group also has developed a therapy that uses a type of ultraviolet light (312 nm UVB) with strong immunomodulatory properties, and they continue to study its immunosuppressive mechanisms. In laboratory studies conducted alongside clinical work, Krueger's group uses a variety of techniques to define the molecular pathways that control normal and pathogenic cellular immune responses. James G. Krueger received the AB from Princeton University (1979), the PhD from The Rockefeller University (1984), and the MD from Cornell University Medical College (1985). In 1985 he came to Rockefeller as a guest investigator in the Laboratory for Investigative Dermatology, and has been at the university since. He was appointed assistant professor in 1990, associate professor and head of lab in 1995, and professor in 2003. Krueger also holds positions at The Rockefeller University Hospital, where he was named associate physician in 1989, physician in 1995, and senior physician in 2003. In 2006 Krueger became co-director of the Center for Clinical and Translational Science, established by a Clinical and Translational Science Award (CTSA) from the National Center for Research Resources of the National Institutes of Health. 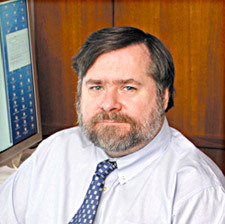 Krueger was medical director and program director of the CTSA's predecessor program, the General Clinical Research Center, from 1996 to 2006. Krueger was named Rockefeller's D. Martin Carter Professor in Clinical Investigation in 2004. His achievements have been recognized with the Ahrens Award for Clinical Research from the Association for Patient-oriented Research (2006). He is also a recipient of two awards from the American Skin Association: a Distinguished Achievement Award and the Psoriasis Research Achievement Award, both granted in 2001. Krueger is a member of the American Society for Clinical Investigation and the Association of American Physicians. He was selected to receive the Astellas Public Health Award in 2010, given by the American Academy of Dermatology.